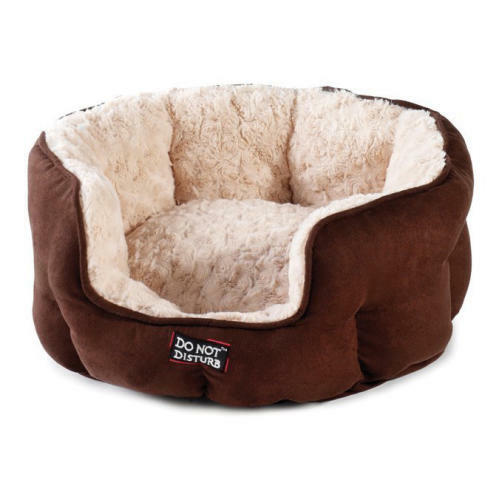 The Sharples N Grant Luxury Oval Chocolate Cat Bed is a super soft, plushy cat bed that's sure to become your cat's favourite napping spot! Made of textured fabric on the outside and featuring a super soft, plush faux fur interior that'll keep your feline warm and feeling snuggled all year around! Machine washable at 30 degrees, tumble dry on low heat.